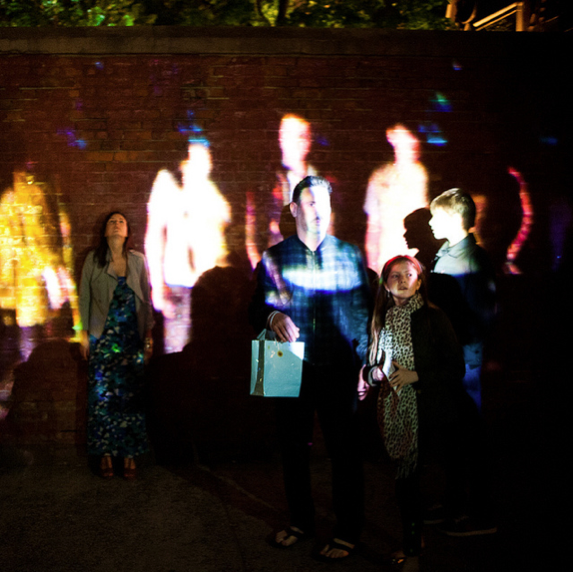 Chrono-Beam is a time-based installation, engaging the realms of memory and space to remap participants’ images onto a public wall in the form of a queue. 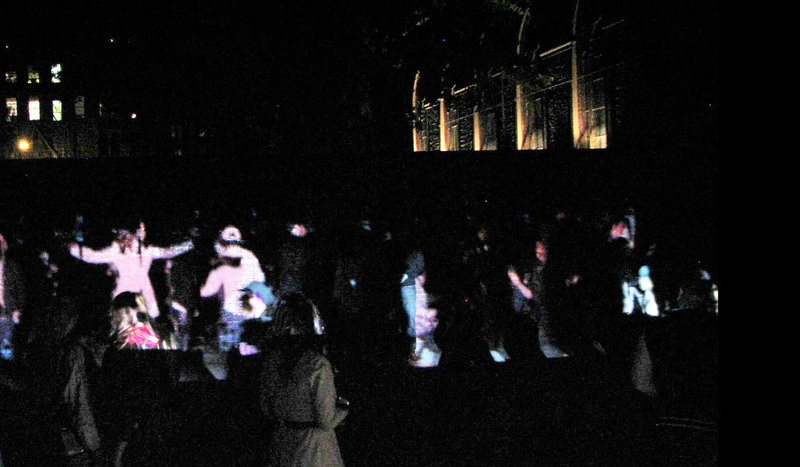 Participants are recorded and added to the queue of projected people, forming a video-line of people that moves over time. 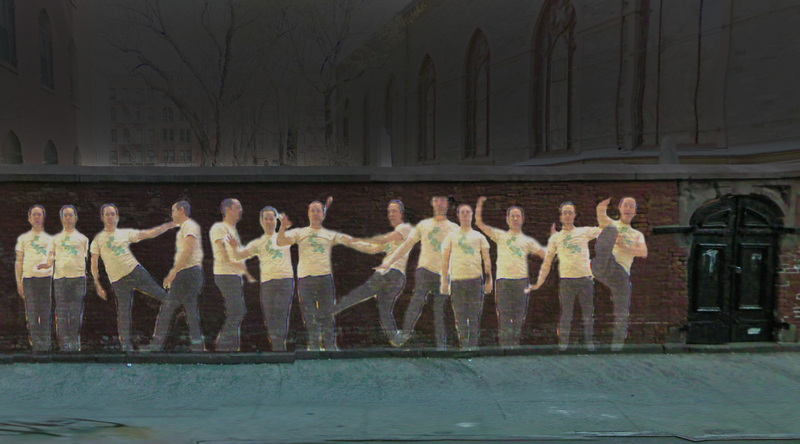 Chrono-Beam converts the sidewalk from a mere conduit into a monument to the diverse histories that travel it, evoking the rich history of the oldest masonry wall in New York, and the people that play there. 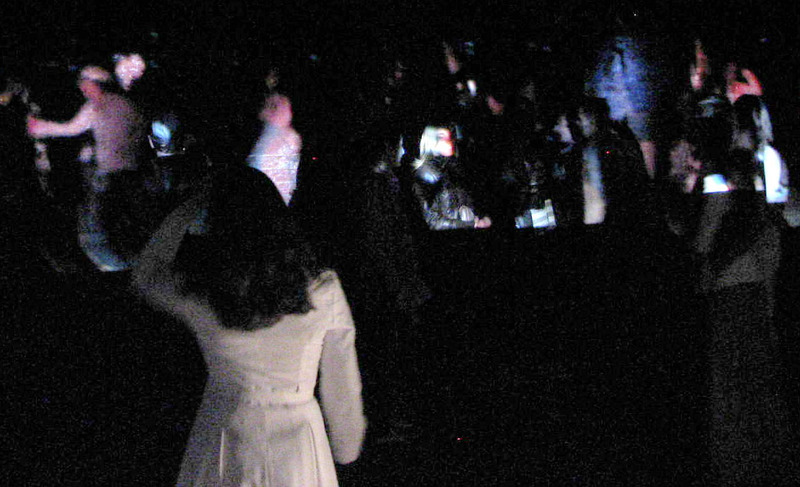 Special thanks to Josh Goldberg for programming (maxmsp, kinect), and Enki Andrews for installation support. Couldn’t have done it without you two. 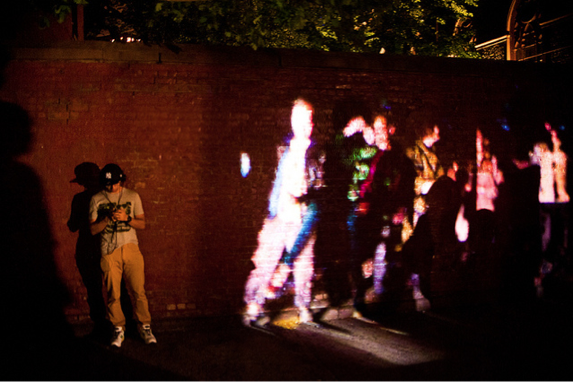 For instance, Jordan’s projection Chrono Beam (2011), which was part of the recent Flash: Light Festival, combines the broadly collective and spontaneous context of VJ demonstrations with the site-specificity, interactivity and criticality exemplified by some of the Graffiti Research Lab digital tools. 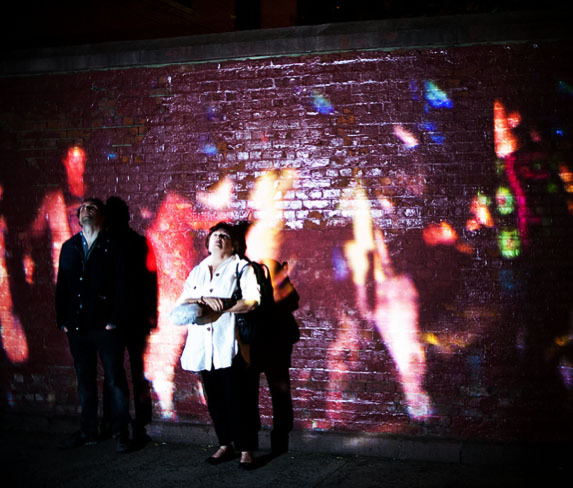 An experienced “visualist” himself, Jordan also moves into the more mnemonic, memorial and conceptual context of architectural light projection with this recent work, which collects and remaps the images of participants into a virtual queue on one of the oldest masonry walls in Manhattan. This ghostly queue changes and moves through momentary time and also across the duration of historical time, thus correlating past and present urban bodies and com- munities through the medium of “waiting” for a turn. Participants are thereby “represented,” “witnessed,” or “acknowledged” through the process of public re-presentation onto historically- rich city surfaces at street-level. 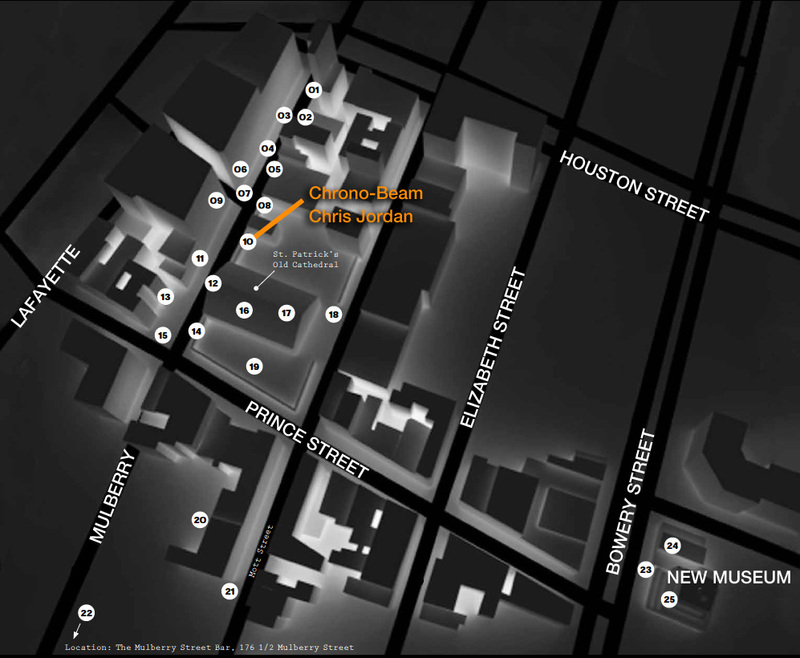 As a public and officially sanctioned work in an urban context, Chrono Beam inherently gathers more of a crowd than unsolicited interventionist projection pieces—and like most VJ manifestations, it thus engages a uniquely broad and itinerant cross-sec- tion of participants. 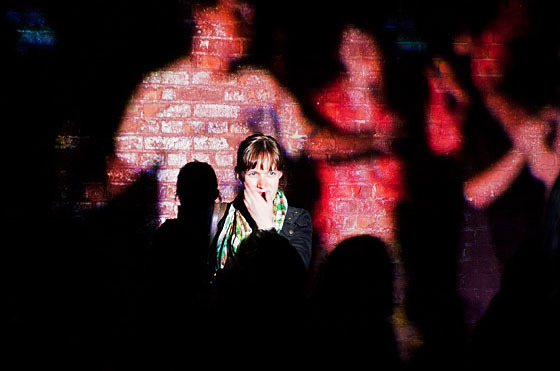 Such a work signifies the convergence of the self-referentiality of video art, the interactivity graffiti projection practices, and the collectivity of VJ situations in a highly provocative and compelling concatenation. Unsuspecting passersby are incorporated and acti- vated into the work, so that site-specificity shifts into the even more microcosmic scale of body- specificity, without imposing onto those bodies as passive screens to any unwelcome extent. Due to this fundamentally relational and physiological orientation, it is arguable that small-scale inter- active projection works like those of Jordan will become more prevalent over the next decade as a way for society to both externalize and socialize its current dependence on virtual systems.